I’ve been very pleased with the MIB2 infotainment system in my GTI. The display size is adequate, sound quality is good, and the system introduced me to AndroidAuto. If you’ve explored my site, then you know that I’ve upgraded my system with Helix and beyond. In time, I learned that the European version of my car has an 8-inch display. I was not shocked. As a longtime Volkswagen enthusiast, I am perfectly aware that Europeans get all the best stuff in their Volkswagens. Americans want it, too. HAHA! Thankfully, someone has found a way to import the larger displays and their associated bezels and sell them as a kit. It’s an expensive upgrade, so I avoided it for some time. Then the kits went on sale, dropping in price just enough for me to make an impulse buy. Thanks to EuroZone Tuning (EZT), I was able to upgrade my non-navigation display to eight inches, all while maintaining exactly the same button functions as the factory unit. I could have chosen one of their new glass displays, but the button layout is different (and the kit is more expensive). Call me kooky, but I also wanted to maintain a “period-correct” appearance with my upgrade. My display features a “MUTE” button. Some people hate it; some people don’t care. I love mine, perhaps too much. I use drive-thru lanes and like to simply push a button to mute and pause the music, then push it again to resume everything at exactly the same volume as before. Sure, it’s a bit lazy when compared to operating a volume knob, but I still like it. Other than size, the only difference between this European display and the factory unit is that the “BAND” button now reads “RADIO.” I ordered my display with a pre-installed screen protector, which may account for the matte finish when compared to the stock display in this photo. The difference is pleasing. Some naysayers, probably those who don’t have the upgrade and/or despise its pricing, have pointed out that 8 inches is only 24% larger than 6.5 inches. But the increase is in both directions, so one must consider the increase in display AREA, which is 53% and noteworthy! No, it’s not as if I have a flatscreen on my dash, but it is a nice improvement. I didn’t care for AndroidAuto when I first bought the car. But I’ve played with it over time and like it even more with the larger display. Around town, I usually just stick with playing music from an SD card. For my commute, it seems I can have the best of everything by playing music from an SD card, displaying Waze on my smartphone, and using GoogleMaps on the 8-inch display using AndroidAuto. Installation was fairly straightforward. My kit came with a pry tool, four chassis lock keys for display removal, and good directions. 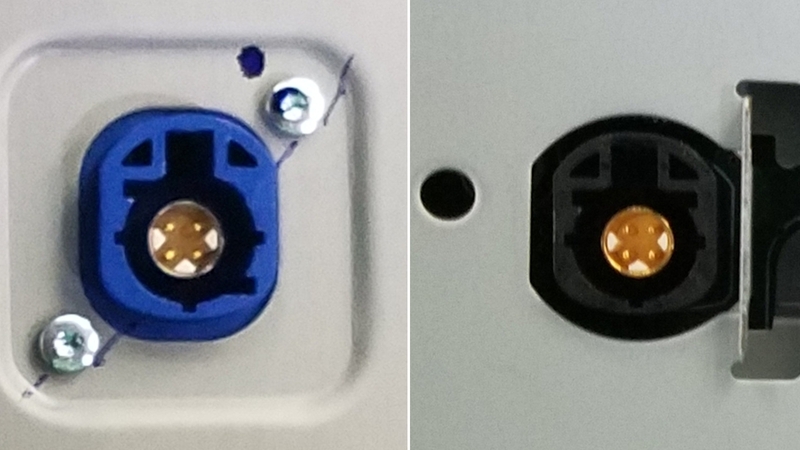 The only setback was with one of the electrical connectors on the back of the European display. It doesn’t match the keying of the factory cable. But that is easily remedied with a razor blade (see the directions). Once a key “nub” is shaved from the factory connector, the wiring goes into the European display and locks appropriately. I have no reason to believe this will be a problem in the future. The new bezel was fairly easy to install, but the bottom takes some finessing to get it to snap into place. To be honest, the lower edge is a total PITA! Is it worth it? Well, that depends on you. I won’t share pricing info here since it’s subject to change. But it IS an expensive decision. The new display does not give higher resolution, more menu options, or make any changes to the system. It is simply a larger display along with its accompanying bezel. Understanding that, you must decide for yourself if it’s worth it. My eyes adjusted to having the larger screen after just a few drives. It’s sort of like getting a Stage 1 tune and then wanting Stage 2, then 2+, Stage 3, etc. I think I’m already taking my larger display for granted. 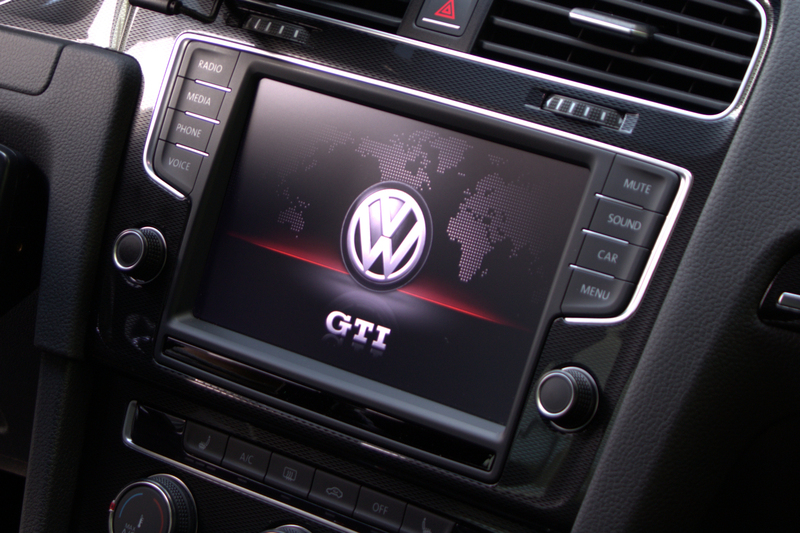 BUT, I do notice a difference when I get into another VW with a standard 6.5-inch display. At that point, the other display looks small while mine is normal. HAHA! So, yes, it was worth it for me. See my related YouTube video here. This entry was posted in Mods & Projects, Product Review. Bookmark the permalink. How did you get that GTI boot-up screen? I have a 2017 GTI SE with Fender premium audio. Will my fender premium audio still work if i upgrade to the 8″ display? I own a 2019 VW GTI Rabbit Edition which has the 6.5 inch screen WITHOUT the CD unit in the glove box. Do you know if there is a way I can replace the 6.5 inch screen with an 8 inch screen? I have contacted Eurozone tuning but have not received a reply. 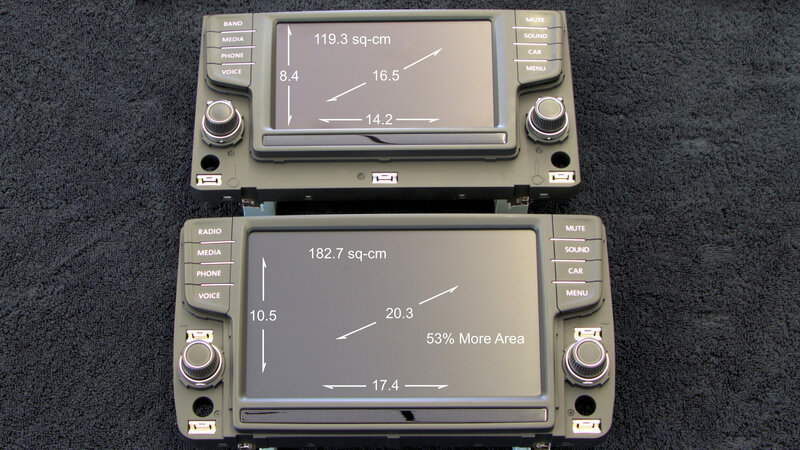 I write to clarify that Bill from Eurozone tuning did reply and gave me two options to add an 8 inch screen to replace the 6.5 inch screen in my 2019 GTI Rabbit Edition. This is what Bill sent me via eMail. “You will need the following to upgrade to the MIB2 with the larger OEM display. Discover Pro Brain Unit with Display Kit: Option 1 or Option 2. The relocation harness relocates the wiring from behind the display, to in the glovebox. This way, you can mount the brain unit in the glovebox location. 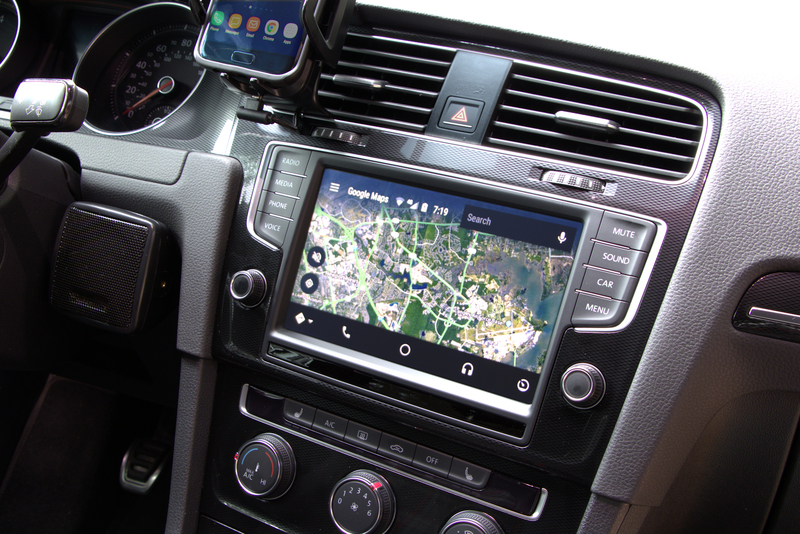 Both Discover Pro options will give you an 8″ (or 9.2″) display with Apple Carplay/Android Auto, OEM Navigation, and a few other cool OEM+ features”. As you can see, both are expensive options. WOW! I didn’t realize the Rabbit was decontented to that degree. I could swear that all GTIs had MIB2 in 2017… maybe even 2018. But I’m not really paying attention since I’m happy with my car. Good Luck making a decision.